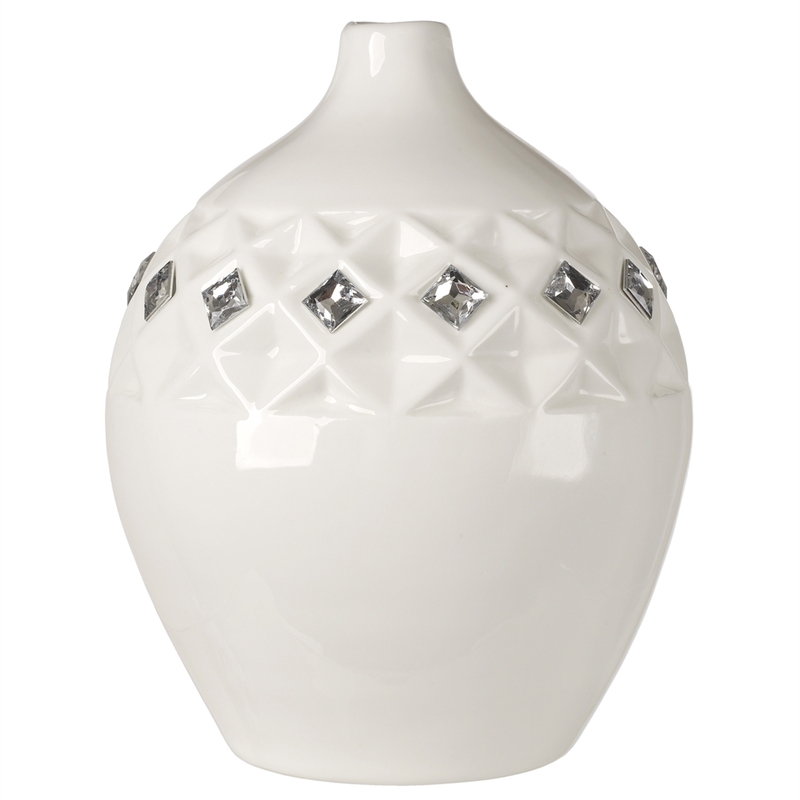 Swarovski crystals dot the diamond design just above the center of this large vase by Debra Carlucci. Imported from Italy, this graceful vase makes the perfect gift for any occasion, including use as party favors and or center pieces. Expert craftsmanship and Italian eye for detail is shown in the intricate detailing of the vase.To protect the fine Swarovski stones, when cleaning use a gentle cleaner with a damp cloth or soft brushPolish to shine perfect for anniversary, wedding or housewarming gift, party favor.